Its a piercing question that so many Americans have: Who are my ancestors and are there any heroes in my bloodline? Award-winning television journalist and author Cheryl Wills discovered her long lost ancestors and found heroes everywhere. This captivating biography traces her troubled father’s bloodline from modern day New York City to 19th century slave plantations in Tennessee. Cheryl’s extensive research uncovers an epic story during The Civil War Era that inspires readers from all walks of life. Armed with historical records culled from The National Archives in Washington, D.C., Cheryl paints a vivid portrait of the African-American experience from The Pre-Civil War Era to Post-Slavery and from Jim Crow to The Black Migration. As readers will learn from this emotion-packed memoir, The Wills family lived through it all and Cheryl bears witness to her ancestor’s harrowing yet triumphant journey. This passionate, one-of-a kind young adult memoir, well-known New York City television reporter Cheryl Wills tells the story of her beloved father's tragic death and how it impacted her as a teenager growing up in New York City. 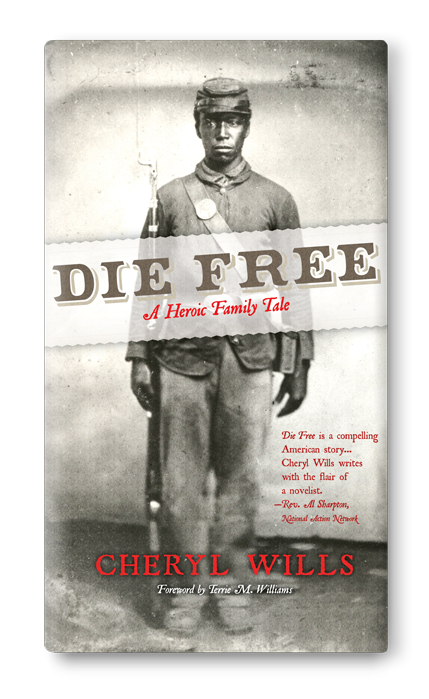 It is a personal and candid narrative describing how after many personal struggles, Wills comes to terms with her dad's death following the discovery that her great-great-great grandfather was a slave in Tennessee who bravely fought for freedom as a soldier during the Civil War. Young adults will be captivated by this personal narrative based on the author's extensive research into her family's painful past. Packed with lessons of perseverance and redemption, Emancipated: My Family's Fight for Freedom is relevant to all teenagers today who are learning about the importance of freedom in people's lives. 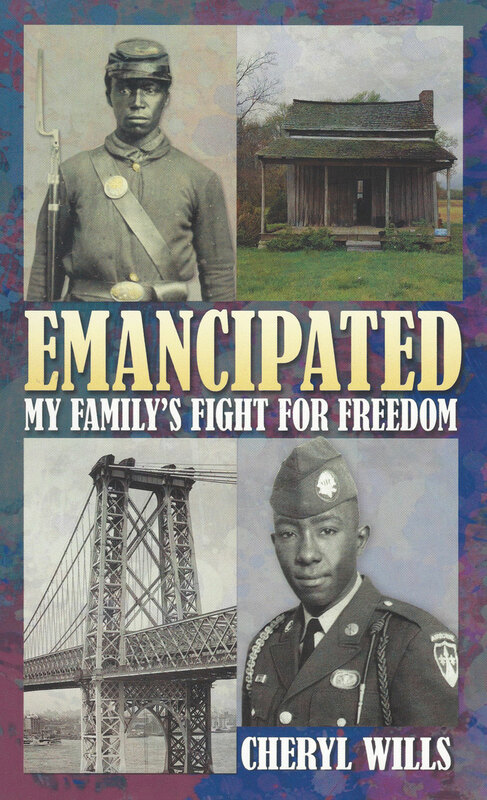 Emancipated: My Family's Fight for Freedom includes strategies for researching family histories, as well as depth of knowledge questions and engaging activities aligned to the Common Core Standards. Cheryl has lectured at hundreds of schools and is one of the most sought after speakers with the New York City Department of Education.